pansies are cute, but what with this downright chilly weather in chicago i am wondering if i will ever go outside to plant anything ever again. i suppose i wouldn’t feel as bad if i had this idyllic table garden from the fine folks at kikkerland to practice my gardening skills on in the meantime. 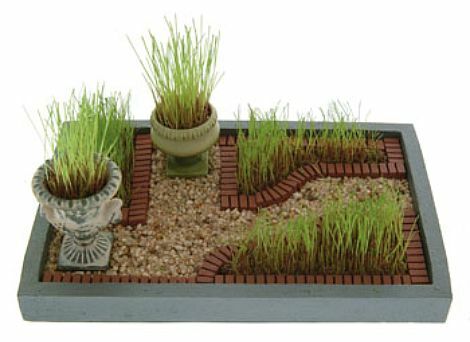 don’t you love the little urns and tidy pathways? it’s $27 and it’s right here, waiting for me you.